In hundreds of meters under the ground, where not a drop of sunlight falls, scientists have discovered an unexpected form of life: cyanobacteria, which usually receive energy through photosynthesis. 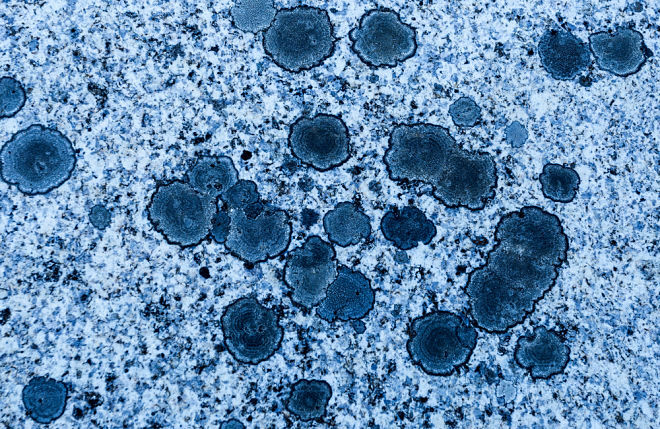 These hardy microorganisms exist for about a billion years. Despite their tiny size, they played a large role in the history of the planet – through photosynthesis, they helped shape the Earth’s oxygen-rich atmosphere, laying the foundation for the emergence of all life forms. Today, cyanobacteria live in different environments: from burning deserts to the oceans. But wherever these organisms live, they usually get at least the minimum amount of sunlight. The discovery of these creatures in the dark underground depths was a big surprise for scientists. The group went on an expedition to the Iberian Pyrite Belt area, located along the Iberian Peninsula in southwestern Spain, to explore the underground rocks that they expected would contain microbes very similar to surface ones. However, they did not expect to find at a depth of 613 meters of cyanobacteria. In fact, cyanobacteria turned out to be the most numerous organisms in the samples. The so-called “dark biosphere” is an environment in which there is little or no light, but nonetheless there is life. The inhabitants of some of these dark places include strange creatures, such as blind cave fish (blind cavefish) or the centipede Aida millipede (Hades centipede). And now scientists can add cyanobacteria to this list. Having studied rock samples using fluorescence microscopy, the researchers learned that the underground microbes do not biologically differ from their light-loving relatives, but these bacteria do not have specific structures for performing photosynthesis. Instead, underground microbes used a different energy generation process. A large number of cyanobacteria collected near hydrogen concentrations. They probably remain alive, absorbing hydrogen, chemically combining it with oxygen, and then releasing hydrogen electrons. Genetic analysis also hints that the ancestors of underground cyanobacteria lived in extreme conditions, possibly in deep caves, where there was a shortage of light. Cyanobacteria have already been found in underground rocks before, but there was always a chance that they got into the samples through surface contamination. New evidence suggests that cyanobacteria can live and thrive in a dark world and play an important role in subterranean ecosystems. A study published in the journal Proceedings of the National Academy of Sciences.